This post is Part 2 of a series to augment the Guest Resources available for free download. Start with Part 1 here. 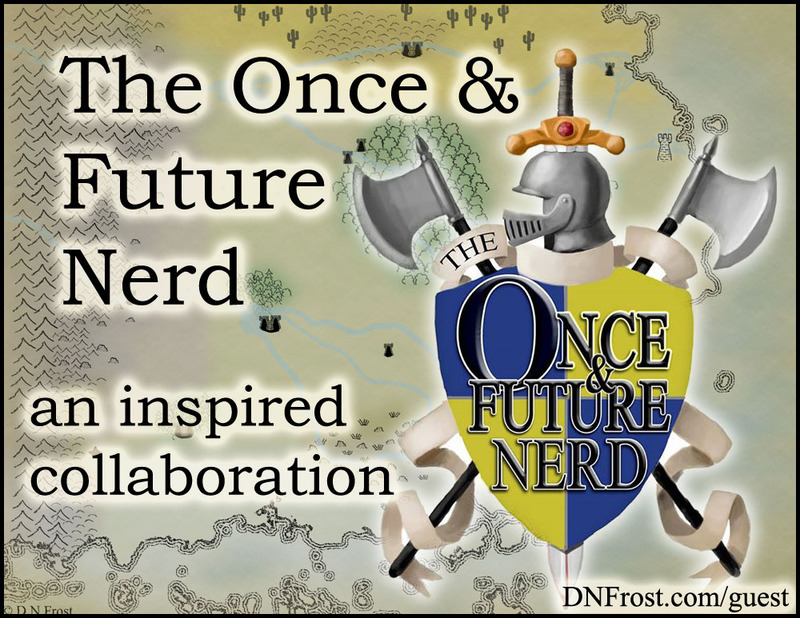 In Part 1 of this series, I started on a shiny new map for The Once and Future Nerd, a phenomenal podcast by writers Zachary Glass and Christian Madera. Their fantasy story is professionally recorded by voice actors, and it has its own original score. The podcast itself is masterful, and it plays around with fantasy tropes with the same respectful irreverence that I do in my Tales of the Known World saga. If you're looking for a great story that you'll never escape, The Once and Future Nerd is for you. Their podcast story is between books for now, but Book 2 is currently in production. In addition to the free podcast archives where you can listen to the whole story, you can now purchase Book 1 of TOAFN as a professionally-made audiobook. The audiobook comes on a USB drive shaped like an old cassette tape, and the case art includes the map I made for them! Because I sent you, you can use the discount code iorden for a limited time. I'm not sure when the discount expires, so be sure to snag your copy today! In honor of the release, I offered fellow TOAFN fans a special discount on my own work. For a limited time, you could also get 20% off the full ebook of Awakening. They announced the map and audiobook in a bonus episode. The majority of the episode is a cool bonus interview between Ian Harkins, the narrator of the TOAFN story, and podcast writer Christian Madera. They take a look back at the shenanigans of Book 1, and podcast co-writer Zachary Glass interrupts the interview with a few show announcements, including a nice piece about yours truly. Book 1 Special Edition and Retrospective here. And be sure to subscribe to TOAFN's awesome podcast, if you haven't already! That's it for this series! Check out the latest guest-inspired content for more.